A graduate of Quaid-i-Azam University Islamabad, Pakistan, where he is now working as assistant professor, A.A. Khan worked mainly in the field of quantum computing. He has also worked in the fields of optical and computer generated holography, fiber and integrated optics and in lasers and optics instrumentation implementing optical computing via classical methods. A graduate of the University of Tehran and from Kharkov State University, A. Nahal had been working under the supervision of Prof. Vladimir K. Miloslavsky on the influence of the polarization on radiation-induced formation of spontaneous periodic structures in thin photosensitive films. A graduate of the Universidad de Buenos Aires, F.P. Quintián is working as an Assistant at the School of Engineering of that University. His research interests are light scattering, metrology, laser ultrasonics and interferometry. A graduate of Cornell University and an Associate Professor of Physics and Electrical Engineering at Koç University in Istanbul, Turkey. A. Sennaroglu's research focuses on the development of solid-state lasers, spectroscopic investigation of new laser media, experimental and theoretical study of thermal effects, ultrashort pulse generation, and nonlinear optics. A graduate of Technische University of Budapest and a reseacher at the Research Institute for Solid State Physics and Optics in Budapest, Hungary. R. Szipöcs's research focuses on femtosecond nonlinear pulse propagation in microstructure (photonic crystal) optical fibers, femtosecond time resolved spectroscopy and two-photon microscopy. Dr. Imrana Ashraf Zahid from Quaid-I-Azam University, Pakistan, was awarded for her contributions in the field of Quantum and Atom Optics and Lasers. Dr. Revati Nitin Kulkarni from the International Institute of Information Technology, Pune, India, was awarded for her contributions in the field of Adaptive Optics. A researcher from the National Science and Technology Development Agency (NSTDA), Pathumthani, Thailand's Ministry of Science and Technology.He made his PhD at CREOL, Florida, USA.The main subject of his research was multiwavelength fiber-optic switch array retro reflective structures, under both theoretical and experimental studies to analyze optical crosstalk level. He has developed an optical touch switch based on total internal reflection (TIR) to be used by disable persons. 2006 Héctor Manuel Moya-Cessa, Mexico. H. Moya-Cessa did his MSc in the Centro de Investigaciones en Optica, and his PhD at Imperial College in London, England. He is a researcher at the Instituto Nacional de Astrofísica, Optica y Electrónica (INAOE), in Puebla, México. He was awarded in recognition of his outstanding research activities on the foundation of Quantum Optics and for his involvement in organizational activities aimed at diffusing the interest on Quantum Optics in Latin America. Svetlana Boriskina received the M.Sc. (hons.) and Ph.D. degrees in Radio-physics from V. Karazin Kharkov National University (KNU), Kharkov, Ukraine, institution where she works as a Senior research scientist. The citation of the Prize reads: "The prize is assigned for her original work in the development of numerical modeling techniques for optoelectronic devices, micro-optical resonators, dielectric lenses and waveguides and for her active commitment aimed at the diffusion of research in optics in Ukraine". Mourad Zghal received his MSc and PhD degrees in electrical engineering from the National Engineering School of Tunis. He is a faculty member from the Higher School of Communications of Tunisia. The citation of Zghal's award reads: "The prize is assigned for his original work in the development of numerical modeling techniques for photonic crystal fibres, microstructured optical fibres, polarization, and for his active commitment aimed at the diffusion of research in optics in Africa." Saifollah Rasouli is currently a postdoctoral researcher in the Physics Department of the Institute for Advanced Studies in Basic Sciences (IASBS) in Iran, the institution that granted his MSc and PhD degrees in Physics with specialization in Optics. The citation of Rasouli's award reads: "The prize is assigned for his creative implementation of Moirè interferometry to fiber optics, optical metrology, and atmospheric optics, including measurements of turbulence parameters, and possible applications to wavefront distortion compensation in adaptive optics systems". Cleber Mendonça received his PhD in physics in 2000 from the University of Sao Paulo, Brazil. Upon completing his doctorate he spent seven months as a postdoc at the College of Optics and Photonics (CREOL) in Florida. In July 2001 he was hired as a faculty member at the University of São Paulo (Institute of Physics of Sao Carlos). The prize was awarded to C. Mendonça "for the development of novel methods and procedures of nonlinear optics, in particular the use of femtosecond pulses and femtosecond laser micro-fabrication in polymers for investigating nonlinear optical properties of organic compounds, and for establishing effective interdisciplinary collaborations within Brazil". Ivan Moreno obtained his Bachelor Degree in Physical Engineering in 1998 from the Tecnológico de Monterrey, in México, and his PhD in 2003 at the Centro de Investigaciones en Optica (CIO) in León, México. He is member of the Physics Faculty at the University of Zacatecas in México. During the last seven years, Dr. Moreno has consolidated an original research program in radiometry and photometry of light-emitting diode-based illumination in Mexico. He was awarded "for valuable contributions to optics in the field of radiometry and photometry of light-emitting diodes (LEDs) that have significantly impacted the design of systems that use such LEDs." Ryan Balili received his PhD degree in 2009 at the University of Pittsburgh, Pittsburgh, USA. He was thereafter reinstated as Assistant Professor in Iligan Institute of Technology, Mindanao State University. 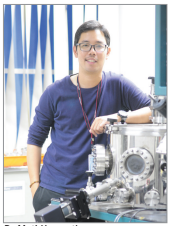 He was named a "Young Researcher Awardee" by Physica Status Solidi in 2006. He was also given the Andrew W. Mellon Fellowship in 2007 for excelling in research and also in academics. He was awarded the ICO/ICTP Gallieno Denardo Award for his "pioneering work in the trapping and condensation of polaritons, providing an important new system in which quantum coherence can be studied, and having potential applications in quantum information processing." Akturk obtained his bachelor degree in 2001 from Bilkent University (Ankara, Turkey) and his PhD in 2005 at Georgia Institute of Technology (Atlanta, USA), both in physics. From 2006 to 2009, he worked at Laboratoire d’optique Apliquee of Ecole Polytecnique at Palaiseau, France. Since 2009, he has been a faculty member at Istanbul Technical University (Istanbul, Turkey), Department of Physics Engineering, currently at associate professor level. 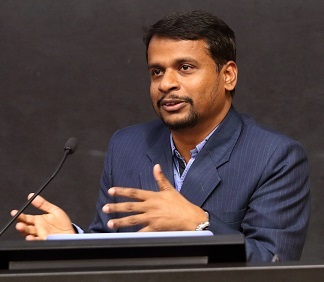 He was awarded “for his valuable work in the field of ultrashort optical pulses and in particular for his contributions to the development of ultrashort pulse characterization techniques and their applications to ultrafast nonlinear optics”.